As a child Michael was already fascinated by castles. 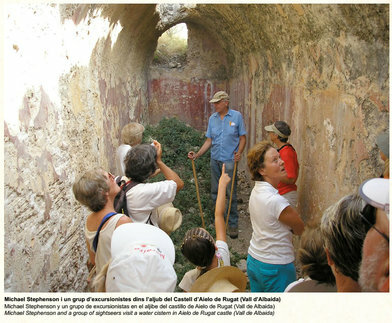 On retirement to Jávea he spent many years, together with friends Anne Scott and Ted Adams, combining this interest with his love of walking by visiting the ruined castles in our region. He and his friends took photographs to indicate the topography and carefully measured the layout of the walls and other structures so they could prepare accurate scale drawings. ​These plans and photographs, together with updated versions, are the basis of this exhibition, focused on the Marina Alta.